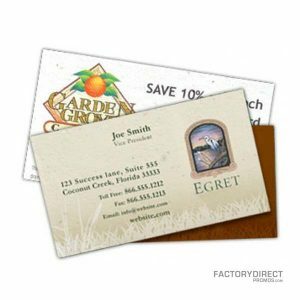 Customize these seeded paper cards and spread your message in an environmentally responsible and perceptive way. Our seeded mini gift packs feature handmade seed cards and an info card. 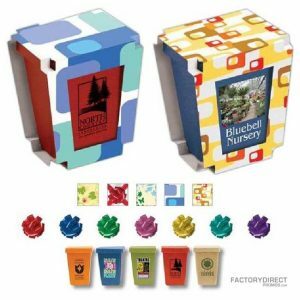 Select the shape of the customized seed paper and add a full-color imprint to the card so your clients will know the facts. 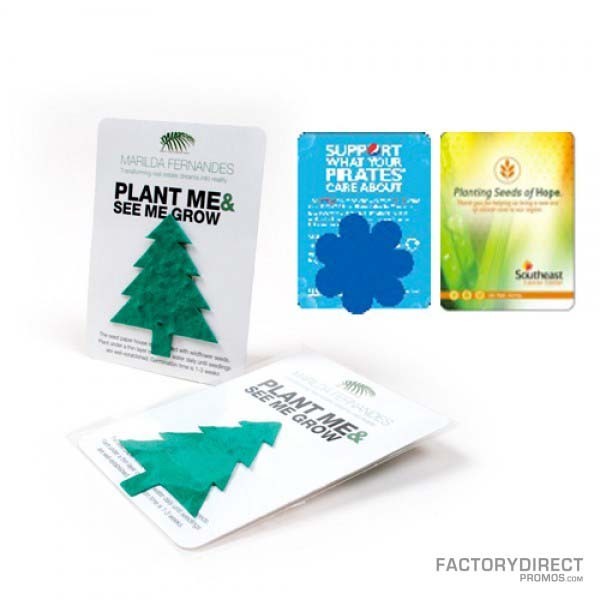 The seeded paper is completely biodegradable and can be planted. A couple weeks after being planted the seeds will sprout into plants your customers can enjoy and will also serve as a beautiful reminder of your message. The paper info card is recyclable for added convenience. 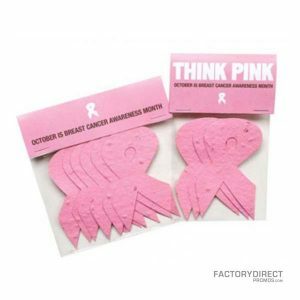 These packs can be completely customized and are a great way to get your company or organization’s message heard. Request a quote or contact us for additional information.